I can't believe that I did not blog ALL Summer. I've been slacking for sure, but I blame it on there not being any WiFi at the beach. I usually ramp up the blog posts in the fall and then slowly start disappearing when the warmer weather rolls around...sorry guys. Anyway, if you aren't following me on Instagram, you might not know that Steve and I purchased our first home together this Summer! The market in our small little beach down is certainly a desired area and the houses are extremely overpriced. We both grew up in this town, so we knew we wanted to stay locally. We searched high and low for the perfect house and even put in 3 offers over asking before we were finally not outbid. The house is a cute colonial-style house that is within walking distance to the beach! Did I mention that we have the most friendliest neighbors ever? I've been having a lot of fun decorating and can't wait to do a home tour soon! Here is some of my decor inspiration and some pictures of move in day! First one in the house! I was pleased to see that the previous homeowners were just as obsessed with hydrangeas as I am. I have not been known to have a green thumb, but will definitely try my hardest next year to keep them alive and blooming. If you have any tips, I would love to hear them. Rug is from Bed, Bath and Beyond! That's so exciting! 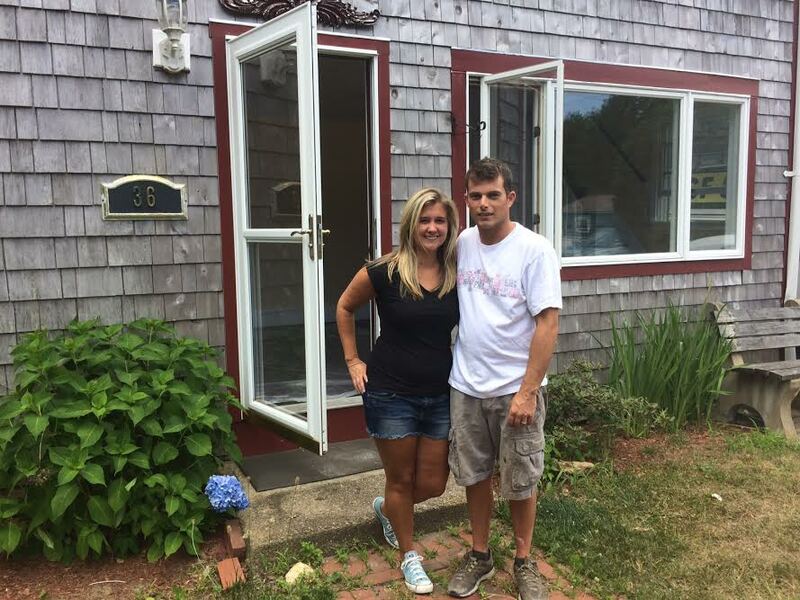 Congrats on the new home. And what an amazing location!! Congrats on your house purchase! 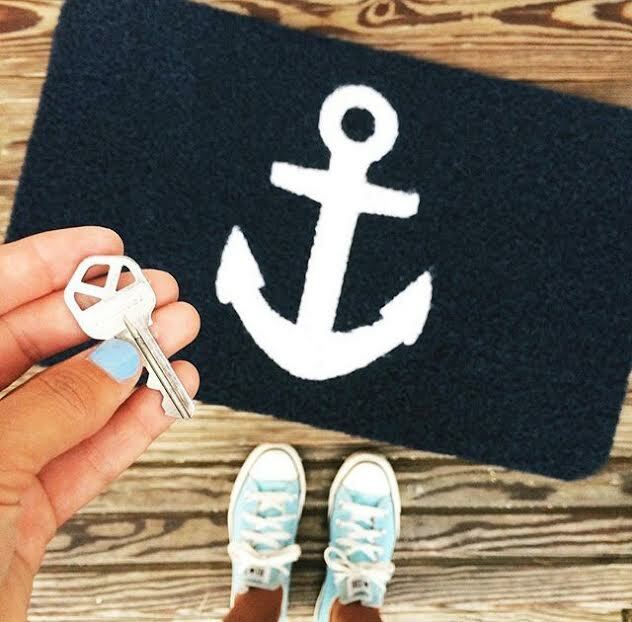 Of course, I love all of your nautical inspo!